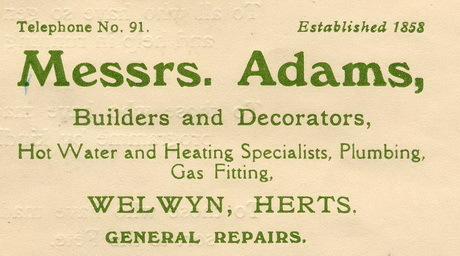 Adams, Frederick - Frederick Adams was born in Welwyn in 1886 to Walter and Amy Adams of Mill Lane. In 1916 he married Dorothy May Overal, also of Welwyn and was working as a Whitesmith. He was conscripted in 1917 to join the Royal Engineers and served in the Inland Waterway Transport Corps as a Stevedore. He served in France from early 1917 until November 1919 when he returned home and was demobilised. Adams, George William - George Adams was a Whitesmith living in the Codicote Road with his wife Emily and children Edith and Eric. In 1896, aged 16 he had attested to the Militia, joining the 4th Battalion Bedfordshire Regiment. He was discharged a year later. In 1918 he was serving as a Mechanic in the 64th Training Squadron of the RAF. Albutt, Tom General - Born in Newbury in 1877, Tom Albutt was a professional soldier, having joined the Royal Artillery as a 14 year old boy soldier. Before the war he had served in South Africa and India, where he took part in the Defence of Ladysmith, amongst other actions. At the outbreak of war he was still in India but was shipped back to the UK in October 1914, now having achieved the rank of Regimental Sergeant Major. He served in France during 1915, and was awarded a Testimonial from the Royal Humane Society for saving a woman from drowning in the River Lys. He was then in England until 1917 when he was posted to Mesopotamia until being discharged in April 1920. He married Helen Knight in Dorchester in 1916. His records show a number of addresses around the country, but in 1918 his registered address was given as New Cottages, School Lane, where his wife was living. By 1919 she had moved to Welwyn Hill. Allan, Lionel MM - Lionel Allan was born in Banstead, Surrey and worked as a Groom at the Frythe. 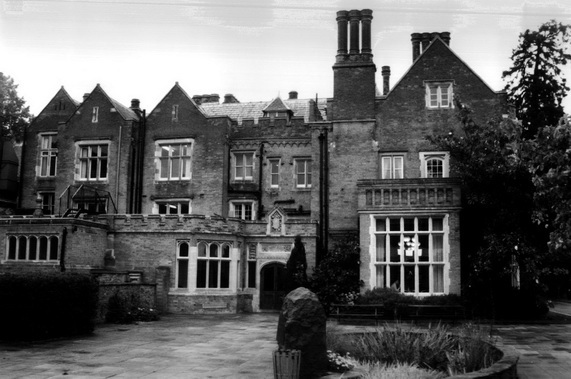 In 1911 he lived there with his father George, a coachman on the estate and mother Mary. He enlisted in the Royal Artillery in 1914 and served in France from July 1915 until the end of the war. In June 1917 he was transferred to the Royal Engineers as a sapper and was wounded shortly before the end of the war in November 1918. On his return home he was awarded the Military Medal and demobilised in February 1919. Almond, George - George Almond worked as a House Painter and lived with his parents at Lince’s Cottage. In April 1911 he married Daisy Hatton in Luton and they continued to live at Lince’s Cottage. In 1916 he joined up - despite stating a preference to serve in the Royal Engineers he was actually enlisted into the Northants Regiment. He served in France until 1918, being wounded in action on a number of occasions. In April 1918 he suffered a serious gun shot wound to his right leg and was discharged as no longer fit for war service. Andrews, Harry Sidney - Harry Andrews was born in Welwyn in 1877 and lived with his father and mother at 4, Prospect Place. In 1911 he was single and working as a cycle repairer. He initially served in France with the 3rd Battalion, Rifle Brigade and was twice wounded. In 1918 he was serving in the Northamptonshire Regiment. 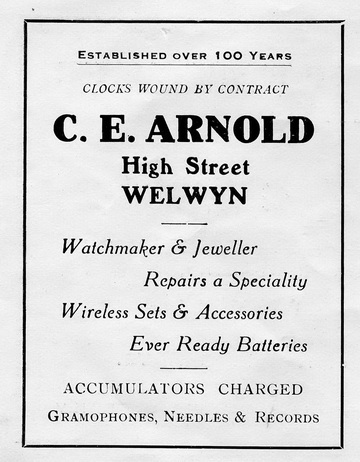 Arnold, Charles Edwin - Charles Arnold, born in Croydon in 1876 had been in Welwyn with his family since 1910 as a clock and watch maker. 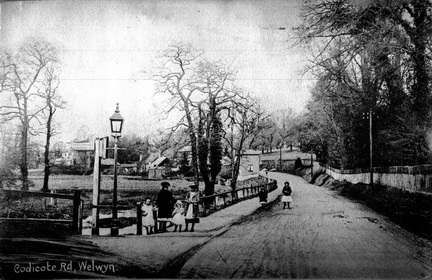 The family lived at ‘The Bridge’, High Street, Welwyn, this being the property now occupied by Aqua restaurant. At the outbreak of war Charles and his wife, Isabel had three children, Roy, Greta and Verna. Charles served as a mechanic in the Royal Naval Air Service from July 1917, followed by the RAF. He was transferred to the RAF reserve in 1919 and discharged in 1920. 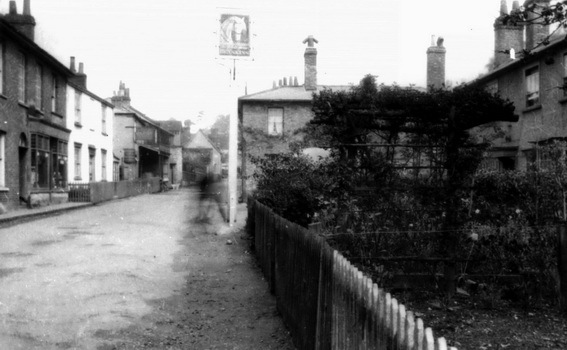 Arnold, Walter - On enlisting into the Army Service Corps in 1915, 32 year old Walter Arnold gave his address as The Railway Tavern, although he does not appear to have been born locally. He served in France from 1917 until the end of the war in a Railhead Supply Detachment and was demobilised in June 1919. Auger, Albert - Albert Auger lived in Mill Lane in 1918. He served in 447th Agricultural Company, Labour Corps.